The "Motor Yacht MAN Engine Guide" is the app for yacht engines, service centre search, augmented reality and service from MAN Engines. MAN is now reproducing its latest product range of high-speed diesel engines for use in motor yachts and sport fishing boats in the “Motor Yacht MAN Engine Guide” app. This makes it possible to access all technical information, dimensions, output and torque curves as well as consumption data for MAN marine engines. The “Motor Yacht MAN Engine Guide” is aimed primarily at boatyards and yacht dealers who need constant access to the latest information regarding MAN marine engines. In addition to this, selected MAN customers also receive direct access to specific output data for individual types of boat from specific boatyards via a dealer login. Service support searching by country, coordinates or dealer is also a helpful way for yacht operators to get in contact when servicing is required. In terms of servicing, those who are interested can also find detailed information regarding warranty offers for MAN yacht engines. The app also offers the additional function of a 3D engine which is a lot of fun to explore. 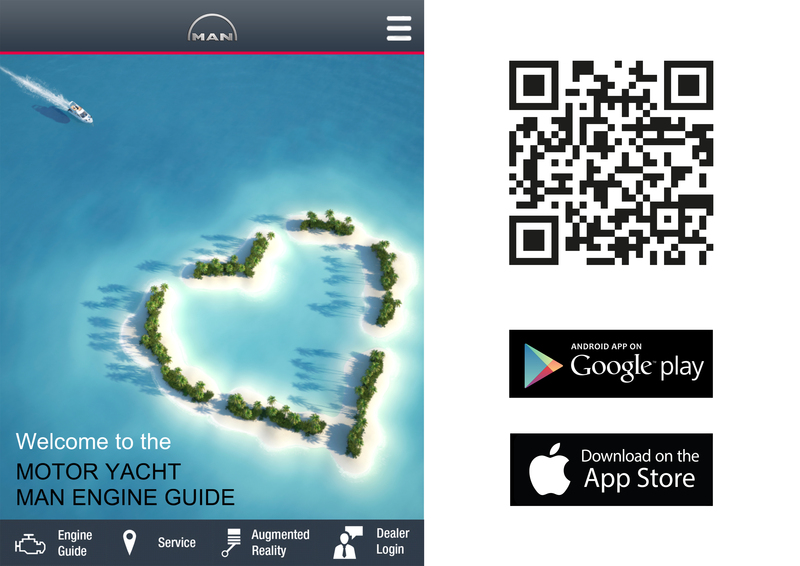 The “Motor Yacht MAN Engine Guide” app can be downloaded now free of charge for the iOS or Android operating systems from the www.man-engines.com homepage or via the Apple Store or Play Store.